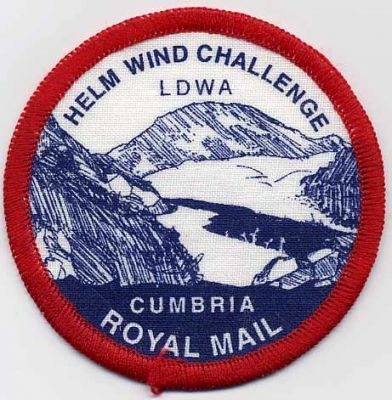 The Helm Wind Walk takes its name from the wind that often rages over the North Pennines. The wind is like the fells, beautiful and gentle when it suits but hard and harsh when it wants. It will often smooth you with a rippling breeze and the next moment knock you playfully to the ground. For weeks on end the fells and wind will welcome you with open arms. Even in the roughest of winter conditions there can be a beautiful welcome here for you, but then the mood will change and you will not be able to approach the fells without paying a high price and many a human has learnt the hard way what that price is. Do not take my word for this: ask the local shepherds and they will tell you tales of how both they and their flocks have wandered inadvertently from the Milburn side of the Cross Fell ridge to the Garrigill side; ask the Pennine Way wayfarers who have walked in brilliant sunshine. Then get the other side of the picture from other people who have had to spend the night in Greg’s Hut and been grateful that this lifesaver was there when the Helm was aroused and the clag came down low and close. The walk starts and finishes in Garrigill near Alston and may be walked either clockwise or anti-clockwise. 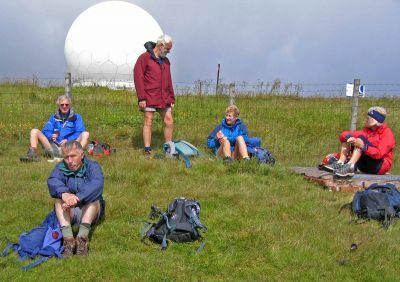 It traverses Cross Fell – at 2930 ft. this is the highest point on the Pennine Way – and Great Dun Fell with its radar station golf ball. 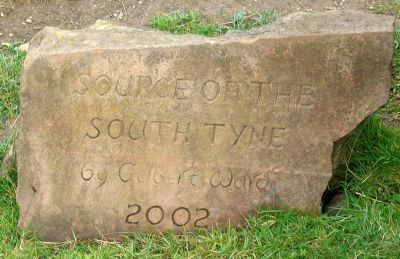 It passes through the Moor House National Nature Reserve and the sources of both Rivers Tees and South Tyne are near at hand . 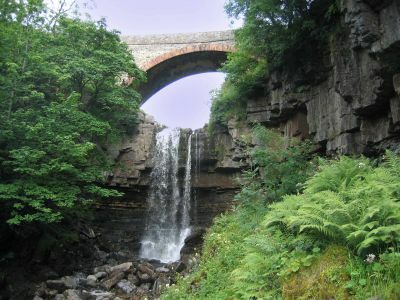 Ash Gill Force provides either a dramatic introduction or finale depending on which way round the walk is done! Under no circumstances can either the Long Distance Walkers Association or the Authors /Distributors of this route accept any responsibility or liability what so ever for any injuries that may be incurred by any persons attempting this route. Nor can any responsibility be accepted for any damage caused by anyone using this route. The route and the information regarding it is given in good faith, but it is the personal responsibility of every one who attempts the route to check the Rights of Way and insure that they keep to them. Anyone who uses the route is solely responsible for any damage to property that they cause. We strongly recommend that the walk is done only by persons over eighteen years old unless accompanied by a responsible adult. It is also recommended that anyone attempting the Challenge should have experience of mountain conditions and carry personal survival equipment with the knowledge of how to use it.